Not that much when you add up the seeds of hope and blossoms of encouragement that he spreads. Imagine needing a word of encouragement, you turn the channel and you receive it. 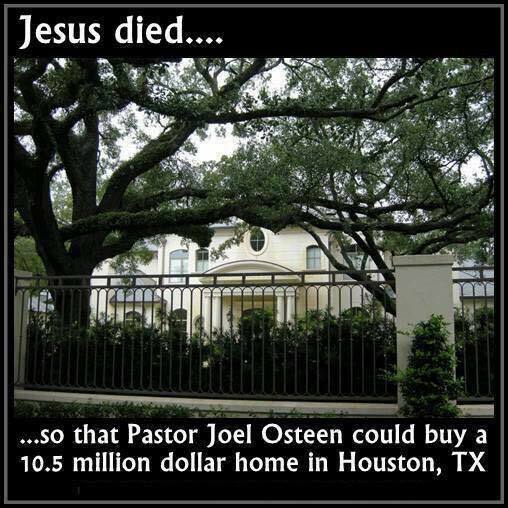 It’s plenty if you consider him (and pretty much all televangelists who live like that) to be frauds and con artists, as I do.